The hard part is over. You’ve created a fantastic product that’s about to hit the shelves, or you’re getting ready to open the doors of your new establishment. Now it’s time to notify your prospective customers of what’s to come, while building some excitement along the way. “Coming Soon” pages can be a great way to build anticipation and give visitors an opportunity to sign up to stay informed—if they are designed correctly. Just like any landing page, your Coming Soon page needs to be built strategically if it is going to encourage clicks, conversions, and return visitors. We’ll go over how to do just that. If you want to hook your visitors immediately, you need to tell them something they care about. Why can’t they live without your product? What can they expect from your services? How are you different than the competition? As Coming Soon pages are essentially short-form landing pages, the goal is to communicate what you can offer the consumer and how your product or service will benefit them in a clear, direct way. Struggling to narrow down your proposition to just one sentence? Not to worry—choose the bulleted list option instead. 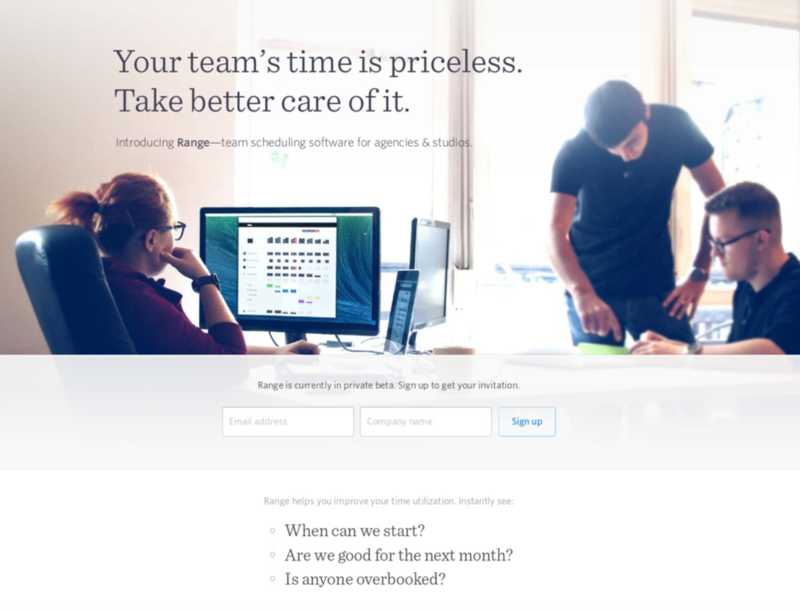 Range, for example, introduces their value proposition with a compelling headline. They then expand upon the solutions their product provides using three focused questions that many business owners and managers are likely asking on a daily basis. This effectively communicates what the company can do for its customers, increases consumer confidence, and helps to generate more leads. Pro Tip: An effective way to introduce your value proposition is to present a problem that your target audience likely has, and then offer your product/service as the solution. This makes your message personal and your offering relevant. Compelling visuals are a surefire way to instantly grab your visitors’ attention. A full-sized background hero image makes an impact due to its sheer size. However, it can also be used as a powerful storytelling technique to tell your visitor more about your brand, your products or services, and your value proposition. 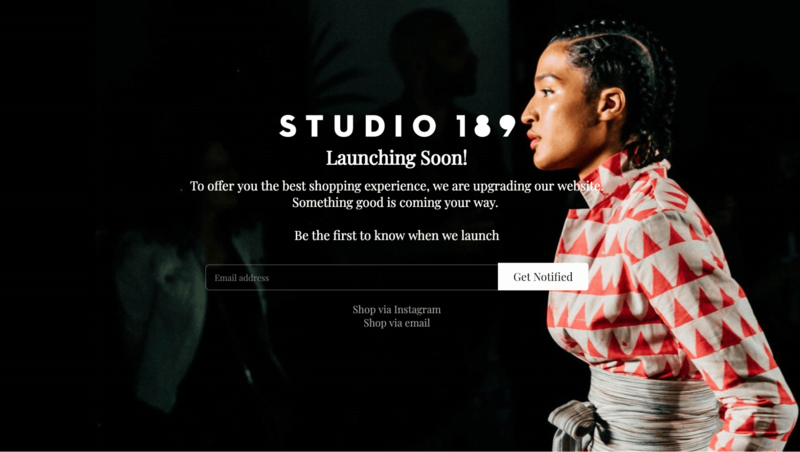 For instance, clothing company Studio 189 teases their visitors with a background image that clearly gives a sense of their aesthetic and audience. There’s no need for a lot of copy here—visitors who like the style can easily sign up to be notified of the launch. Pro Tip: Make sure the photo you choose as the background hero image can easily be associated with your brand, product, or service, so you don’t confuse your visitors. The most important thing is that the content is readable. This means that the copy and CTA need to stand out against the background, and the layout needs to work on a variety of screen sizes. Take a look at the following example. The header and CTA all but disappear into the background image. Not only does this lack visual interest, but some people might not even be able to read the copy—so why would they ever come back? At a loss for great, affordable photography? We’ve compiled over 20 sites that offer free stock photos. Like with other landing pages, visitors will spend a very short time on your Coming Soon page. Therefore, it’s important to feature a single CTA for optimum results. Let’s face it, if you try to include too much information about your brand too soon, you might overwhelm your visitors and encourage them to bounce. For example, the A La Carte Coming Soon page template from landing page builder Unbounce has a CTA that dominates the screen. It’s the main focus of the page, which makes it impossible to ignore. Pro Tip: Be grateful for your visitors – but don’t overwhelm them. Once someone has supplied their email address, send a note that includes all of that additional information that should not be taking up space on your landing page. This gives your visitors something to easily return to for details on your launch. Here’s an example of what to avoid. First off, there is way too much content on this page if you want anyone to actually do anything. There are also two CTAs, and the call to apply arguably stands out more than the call to subscribe. Want to include more information about your launch? Don’t do it on the first screen that the visitor sees. Instead, create a secondary section so that your visitor can scroll down the page if they want to find out more about your offer. The Photography Coming Soon page template from Wix includes a short paragraph in the secondary section along with relevant contact information should the visitor have any questions. It also features linked social media icons to encourage further interaction and engagement—without taking focus away from the primary goal of conversion. Pro Tip: Include social proof in your secondary section in the form of customer testimonials or the numbers pertaining to your social media accounts. Why? Well, social proof is a good thing to include on any type of landing page as it displays your credibility and authenticity. Just remember, if you are going to include additional information, make sure you get the hierarchy right. This restaurant’s Coming Soon page includes a lot of great secondary information – however, they messed up by placing the signup box at the end of the scrolling page. There’s a lot of valuable information that could definitely help someone get excited about the new restaurant, including a sneak peek at the menu and details about hosting private events. But unless someone scrolls through all of this information to the very end of the page, they are never going to convert. 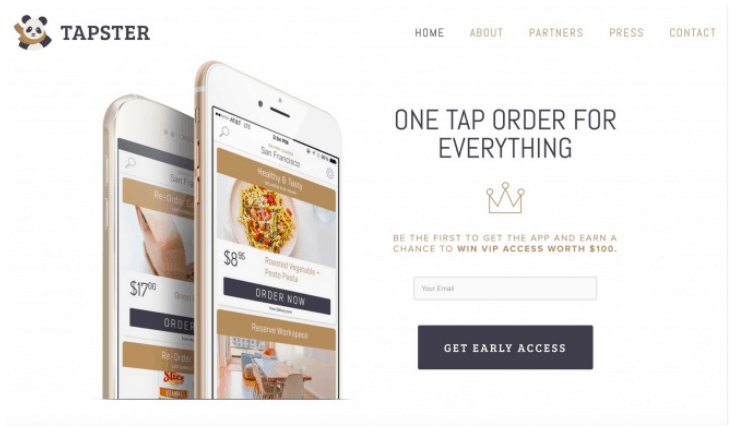 A great example of this in action is Tapster’s Coming Soon page, which persuades visitors to be one of the first to use the company’s app in exchange for a chance to win VIP access worth $100. By incorporating an incentive, you can build more of a buzz around your brand and effectively increase the number of conversions—and that’s a win-win situation. 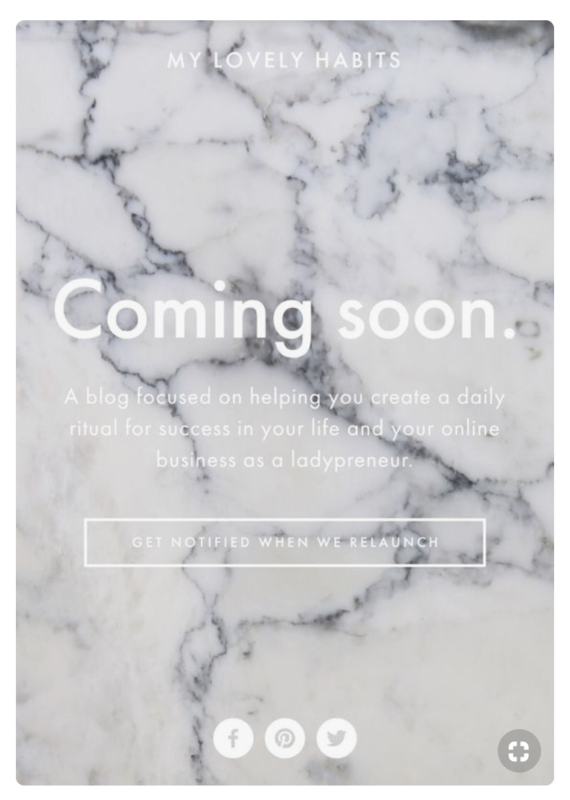 Pro Tip: If you want to create a sense of urgency – renowned for making a visitor convert here and now – use a countdown timer on your Coming Soon page. This should communicate the amount of time that your visitor has to grab your incentive before it expires, thus convincing them to act now. A highly optimized Coming Soon page communicates the launch of your website or product to your visitors while simultaneously ensuring that they sign up and come back. Regardless of which tool you decide to use, your main goal during the design process should be to entice your visitor and make them wait in anticipation for your launch. If they’re excited, then they’re more likely to engage with your brand or sign up to your email list, which provides you with a collection of warm leads to target down the line.